South Port Community Housing Group is a unique player in Victoria’s community housing sector. 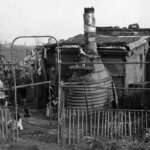 Since 1983 the organisation has determinedly maintained its local community focus while becoming a significant provider of low-cost housing to single people at risk of homelessness in the communities of South Melbourne and Port Melbourne. Away from exploitative landlords and dangers on the streets, tenants have benefited from a supportive tenancy management style that provides more than just housing — it promotes a sense of community. This is an important book about community housing, marginalised people and how community housing has helped them. It’s also about community organisations and what makes them work and the valuable, proactive roles municipal councils can play in addressing community needs,. 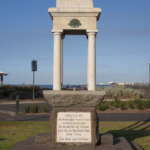 This book makes a significant contribution to the local history of the City of Port Phillip. 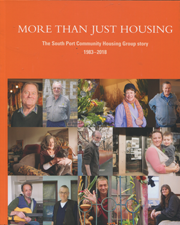 More than just housing: the South Port Community Housing Group story 1983–2018 has been told through the lens of long-term committee members, employees and tenants. It is enhanced by beautiful photographs of the buildings and the people who enjoy them. It is a fitting tribute to South Port’s 35 years of service. Prices are in Australian Dollars. No GST is chargeable.